Apple fans would love to purchase or rent movies from iTunes Store. However, iTunes movie rentals or purchases are M4V video format with DRM protection, which can only be played on iPhone, iPad and other Apple devices. And previously purchased items might not be available if they’re no longer on the iTunes Store. The rentals will expire when either the 30 day or 24-hour limit is reached. Once the rental expires, the rental is automatically deleted. Most iTunes users want to keep the movies forever for fear of losing them from iTunes Store someday. Google Drive is a good choice. Google Drive is a cloud storage service that allows you to store your documents, photos, videos, and more online. From Drive, you can also use Google Docs, Google Sheets, and other applications to create and edit various types of files. No matter what kind of operating system you use, you can rest assured that Google Drive will work on all systems. Step 2: Click the Add Movies button to import iTunes movies from the iTunes library. 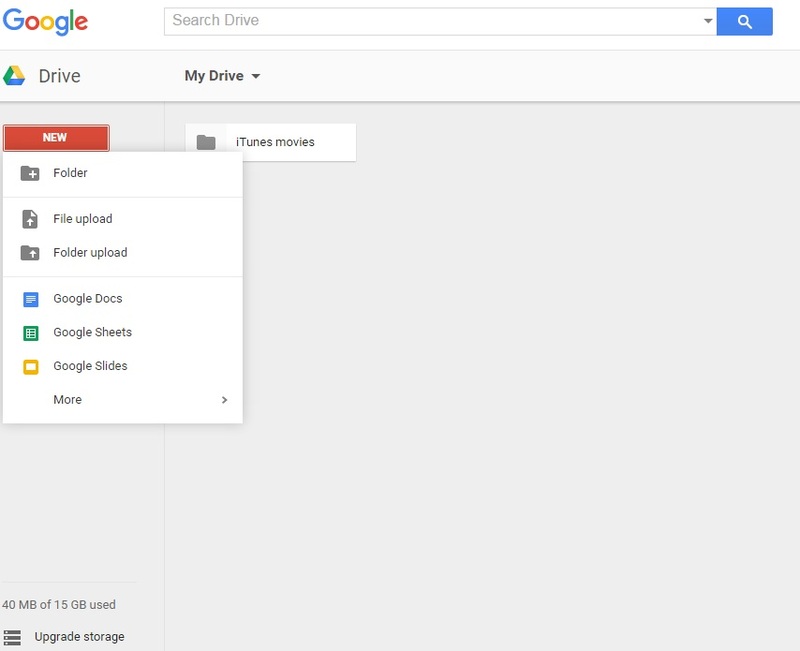 Step 3: Click the Profile drop-down list, you can find the available video format for playable on Google drive. Note. Make sure your video output is one of the following formats: WMV, MOV, FLV and MP4. Google also accept other video types, as well. But these are the most common used. Step 4: Start the iTunes movies conversion by clicking Profile button. After the conversion finished, open Converted Movies folder and you will find the converted iTunes movies there. Open your Google Drive. Click New button –>File upload / Folder upload to upload the converted videos or folders from your computer. 2. It will take a few minutes (sometimes longer) for your video to be processed. Once it done, you can click on the video and it will play right in the browser.